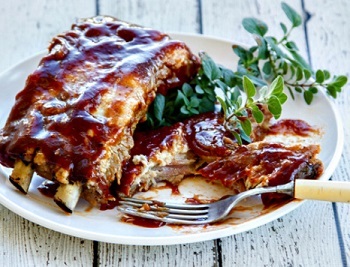 Cooking barbecue ribs – the “best” way? 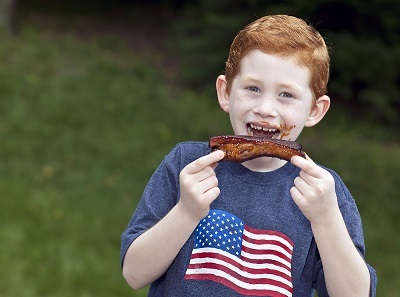 Seems there are as many opinions about how to cook ribs as there are people. I've tried a variety of methods to cook ribs. This article is about three methods and what real restaurant guests said they preferred. The restaurant business is a tough one. Almost everyone knows that. Only 2 or 3 (sometimes 4 depending on the local market) out of 10 independent restaurant startups last longer than 3 years. That's a fact ...and I've seen it over and over again. Everyone seems to "know" how to have a successful restaurant. I went into the business not being certain of much. I only knew ONE THING. That ONE THING made the restaurant a huge success. From the first day the restaurant turned on it's "Open" sign, we operated on one over-riding theme: “we care.” We care about our guests. When we opened the business we knew we would make mistakes, but we would know what those mistakes were and be able to correct them immediately. We would ask the guests. You see, I quickly understood that it didn't matter what I thought. What mattered was what our guests (customers) thought. They would decide - not experts or other chefs. Ideas were generously offered and gratefully received. But ultimately - the guests would decide and make the restaurant successful. So we chose a simple approach to developing the restaurant ...its menu and "recipes that work." And most experts said the approach was cumbersome and in the end would not succeed. They were half right ...a "customer-driven" business is a lot of work. Our approach manifested itself daily, in many ways. One way is how we decide to offer items on the menu and as specials. Let me explain. One day some years ago I was fortunate to be given about 30 pounds of country-style pork ribs. The ribs were fresh and cut across the bones into strips. Because there were so many ribs we decided this would be another opportunity to try some different methods for cooking barbecue ribs. We wanted to find out which method would be most appreciated by our restaurant customers. We trimmed nearly all the fat that we could from each rib and then got started. We decided to have our guests taste test an oven, grilled and boiled cooking method, but slightly different from the other recipes we had. This cooking project took about six hours and a great deal of our energy. There were ribs everywhere. We put our largest stockpots filled with water on to boil. 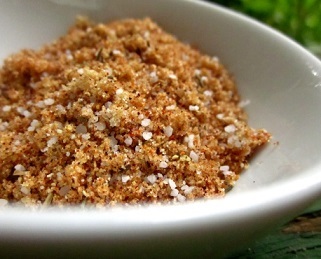 We added a generous amount of kosher salt, black pepper and crushed red peppers to the water. When the water was boiling we added a third of the ribs to the water and brought the water back to a boil and then turned the heat down to simmer. After ten minutes, we removed the ribs to parchment lined sheet pans and allowed them to cool slightly. We moved the ribs to the grill and closed the cover. We left these ribs on the grill for approximately 40 minutes, and then put them into a slow-cooker with our own guest-approved barbecue sauce for 1 1/2 hours. Yep, they were now tug-off-the-bone tender. We tried one. Good! Our gas grill was heated to 350 degrees, and we put a third of the ribs on. They were seasoned only with kosher salt and black pepper (as we did with the "boiling method"). We put the grill cover down and cooked them until the ribs were caramelized on both sides which ended up being an hour. We then brushed the ribs with the barbecue sauce and placed the ribs in the 300 degree oven. We baked them for about 1 1/2 hours. At this point they were again "tug-off-the-bone" tender (just right). We began by preheating the oven to 350 degrees. We then placed water in the bottom of a broiler pan, added a tablespoon of liquid smoke, placed the top of the broiler pan over the water, put ribs on the pan and covered all with foil (essentially steaming them). Placing the pan on the middle rack of the oven, we set the timer for one hour. After an hour in the oven the ribs were somewhat tender. We put ribs onto a sheet pan and brushed them with more sauce as we put them back in the oven at 300 degrees. After an hour, we turned the ribs over, brushed them with more sauce and put them back in the oven for another 30 minutes. These ribs were now "tug-off-the-bone tender" - ready to eat. We were a bit "frazzled" with three different cooking methods going on, but we kept at it. Now for the ultimate "test!" The customer taste-test! What did they decide? At least one rib cooked each way was served to different guests, asking them to tell us which rib they preferred. All the ribs were warm. All were served with a side of extra barbecue sauce and each rib was identified with a different colored toothpick - red, yellow, or blue. The ribs seasoned with salt and pepper and initially cooked on the grill were the winner for flavor and texture, hands down. When cooking barbecue ribs on a regular basis we actually use a dry rub (click for the recipe) and put them on the grill at 350 degrees for the first hour with the cover on and then turn the grill down to 300 degrees and let them cook with the cover on until the meat is "tug-off-the-bone tender. 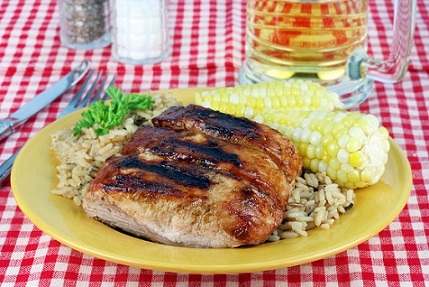 During this cooking method we apply our barbecue sauce (click for recipe) once near the end of the cooking process. Note: Some people like their ribs without much sauce at all (assuming the ribs are cooked properly with a dry rub. In this case, you might skip the last "saucing" and just served extra sauce on-the-side. So there you have it ...how to succeed in the restaurant business! :-) Care. Be guest driven! 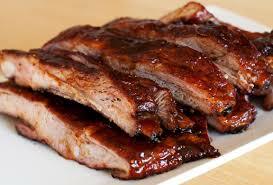 Enjoy cooking barbecue ribs. 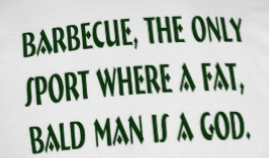 Better yet ...enjoy the ribs and the company you share them with!